In 1945, Senator William Fulbright introduced a bill to Congress that would establish an exchange between students in the United States and other countries in the fields of education, culture and science in an effort to support peace. If you think about this in the context of history, our global community had just experienced war and division in some of the worst ways. WWII had just ended and the world had seen the power of Hitler to discriminate and torture a group of people resulting in large scale destruction and death. The world was facing the challenge of rebuilding towns and communities that had been shattered in the war and reuniting families that had been torn apart. The world was not peaceful, but this brave Senator decided to do something about it. The bill passed and because of it over 307,000 people have traveled to 155 countries to observe, share and work on projects that promote peace, collaboration, unity and progress. Thank you President Harry S. Truman for signing this bill in 1946! Without that vision that started 68 years ago, I wouldn’t get to study in Finland or meet such amazing likeminded people from all over Europe. I primarily teach seniors in high school and every year help them apply for colleges. We talk a lot about applying for colleges that they feel are just out of their reach because of financial reasons or that their GPA may fall short of admission requirements. Last year, I was having this conversation with two seniors and they asked me when the last time I had applied for something that was just out of my reach. 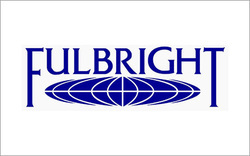 I was very convicted about the conversation and so I started to look around for professional development opportunities and found the Fulbright Distinguished Award in Teaching program. With their encouragement, I decided to apply and follow the advice I often give others. I could not be more grateful from the gentle shove of the students as this experience has been truly a life changing opportunity. The Fulbright Exchange programs are an excellent way to experience a new culture while gaining valuable insight into your profession. There are several different Fulbright programs that each cater to a specific area of study- pick the one that fits you best and go for it! Meet current Fulbright Foreign Scholarship Board (FSB) eligibility requirements regarding previous grants. Follow the Fulbright Teacher Exchange on Facebook or Twitter for more information and announcements. Hold citizenship and be resident of Finland. Follow the Fulbright Center Finland on Facebook and Twitter.